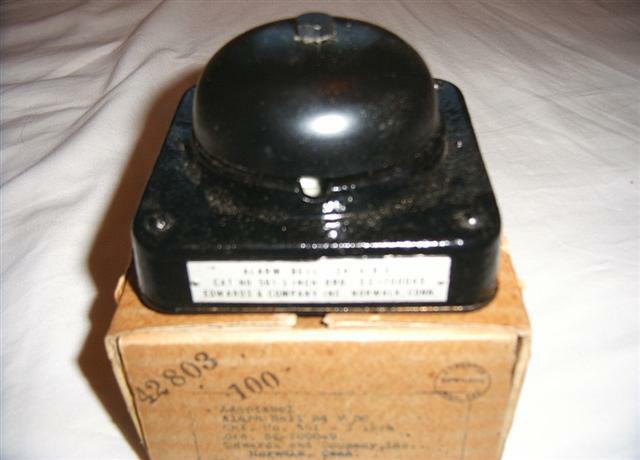 This is a B-17 Alarm Bell 24 V.D.C. CAT . NO . 561-3 INCH ORD. EDWARDS & COMPANY INC., NORWALK, CONN. The sound that this piece of History made was what every B-17 crewman dread, as when the sound of this alarm started ringing out, this was your signal to �Bail-Out� and pray you escaped before your ravaged plane became your coffin.